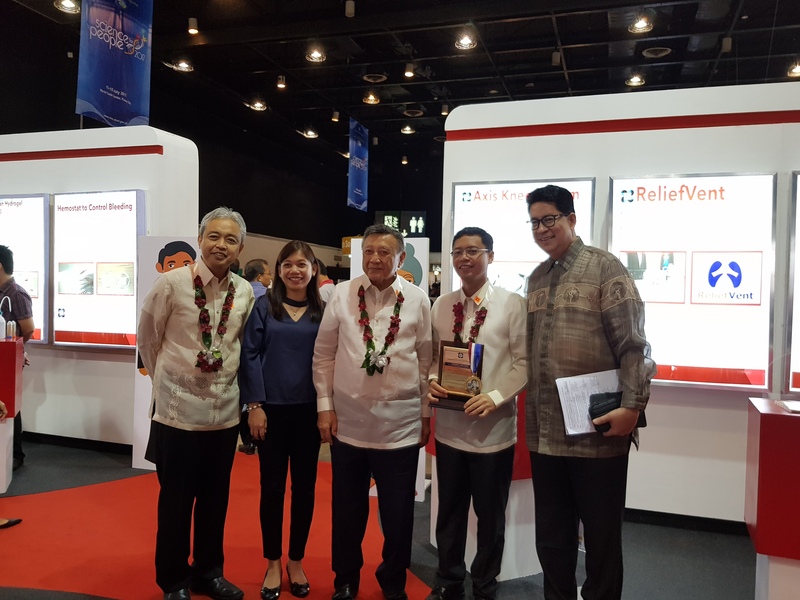 Axis Knee System team awarded with Outstanding Technology Commercialization Award at NSTW 2017 - Orthopaedic International, Inc.
NSTW Awardees: Mr. Jude L. Sasing, Dr. Ramon B. Gustilo, and Dr. Ilustre I. Guloy Jr.
PASAY CITY - The Axis Knee System team from Orthopaedic International Inc. (OII) was awarded with the "Outstanding Technology Commercialization Award" (Gregorio Y. Zara medal) for Axis Knee System at National Science and Technology Week (NSTW) held last July 11 at the World Trade Center, Pasay City. The awardees are the Axis Knee System team led by Dr. Ramon B. Gustilo (world renowned surgeon and Chairman of OII), Jude Sasing (President of OII and lead engineer of Axis Knee), and Dr. Ilustre I. Guloy Jr. (Currently the Chairman of the Department of Orthopaedic Surgery at Asian Hospital and Medical Center). The award was given in recognition of the successful commercialization of the Axis Knee Replacement System, an innovative total knee replacement system that guides the surgeon in every step of the procedure to achieve correct mechanical axis alignment and optimal patient-specific implant position. The Axis Knee Replacement System addresses the problems associated with the low number of total knee replacement in the country because of its affordability. NSTW is celebrated every third week of July through Proclamation No. 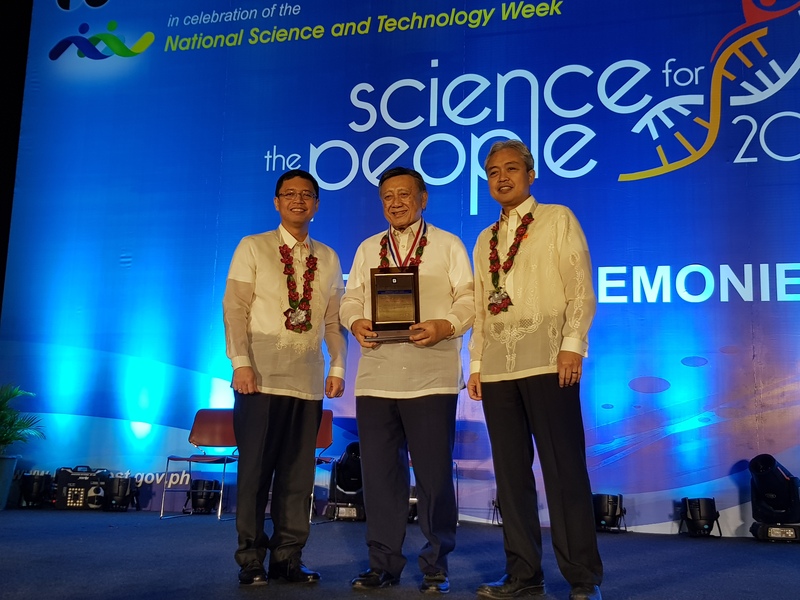 169 of 1993 to highlight the contributions of science and technology to national development. 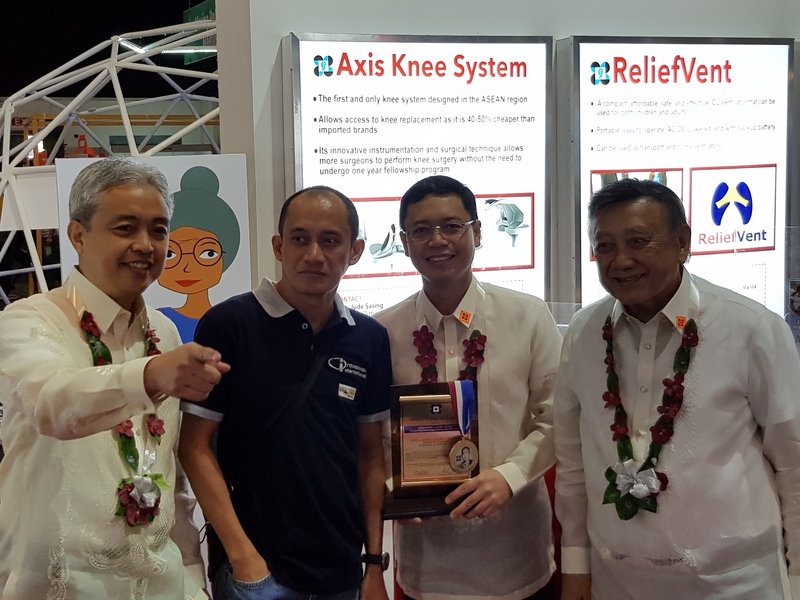 Other activities of the NSTW include fora, games, and interactive exhibits where Axis Knee System was showcased as part of the Health Research and Development Cluster together with other technologies and projects from July 11 - July 15 at the World Trade Center.